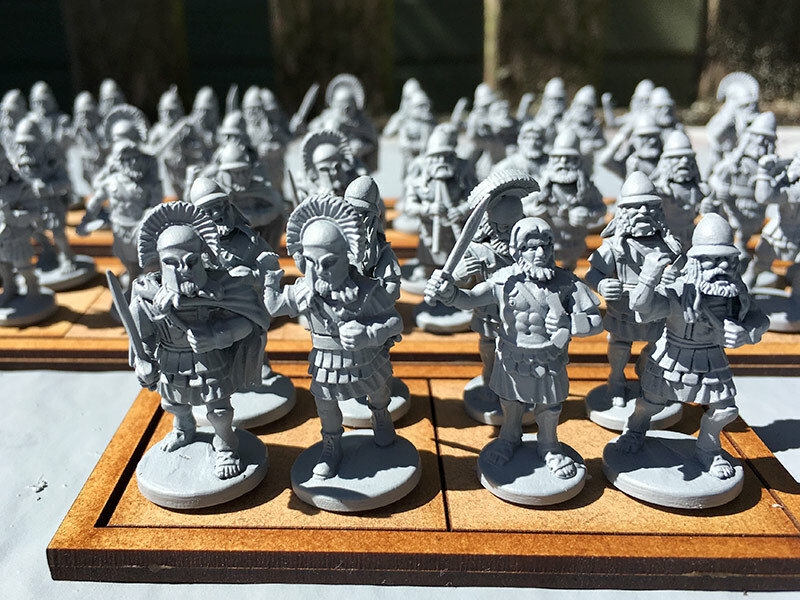 Victrix make some wonderful 28mm figures. 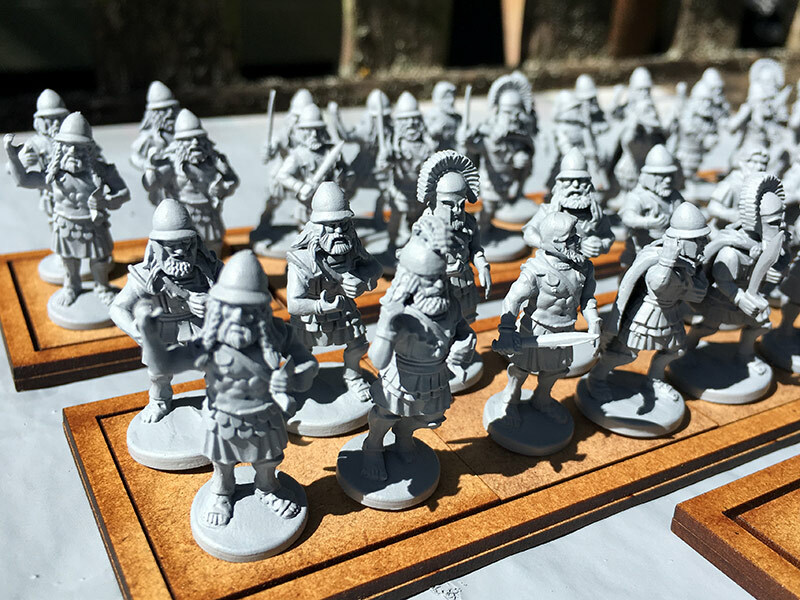 I first came across them when I decided to get back into Napoleonic wargame figure collecting and got some boxes of their French Napoleonic figures. 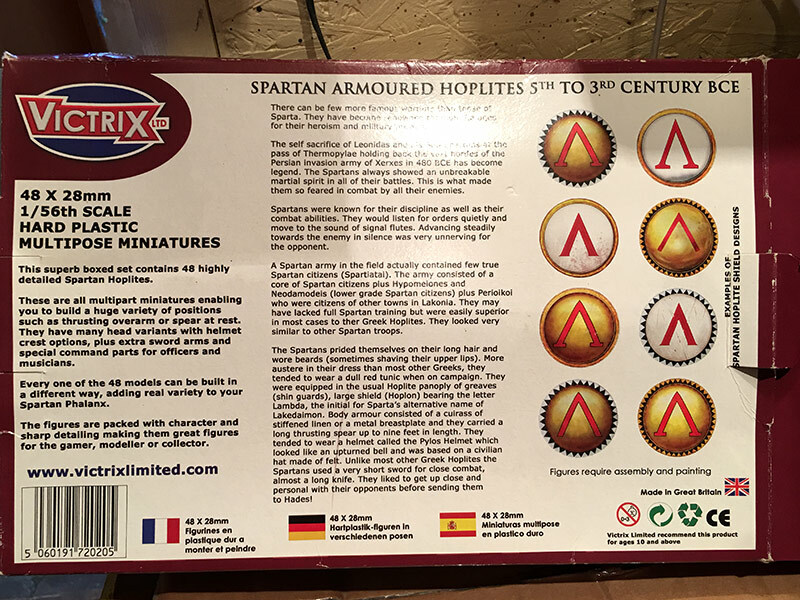 I bought quite a few Roman figures at this year’s “Salute” in London but I also got a box of their “Spartan Armoured Hoplites – 5th to 3rd Centrury BCE“. You get 48 figures which represents good value for money, especially when compared to some of the other manufacturers where you only get around 20 figures in a box for just a few quid less. There are 8 figures per sprue and you get 6 sprues in the box. Half the figures have a left arm molded into the body the other half have no arms and you need to add both. The heads/helmets are molded together but most of the helmet/heads also require the gluing on of a hair piece. 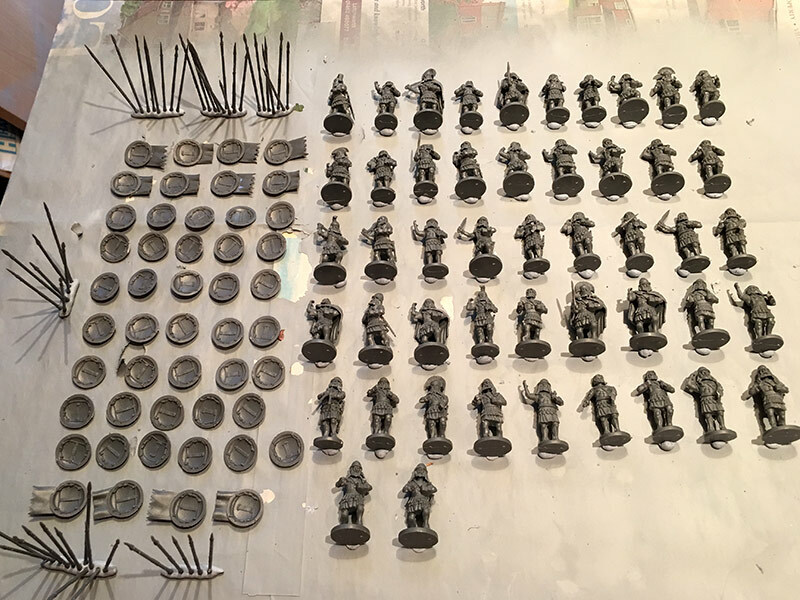 These fit together well but they are a little fiddly as the point where they connect to the sprue is the point they fit around a cut out on the helmet and they require some tidying up with a scalpel/sharp knife. The hair pieces are quite tiny, especially for big hands. I decided to keep the shields and spears separate from the body to see whether painting is a little easier and will add them to the figures once painted. 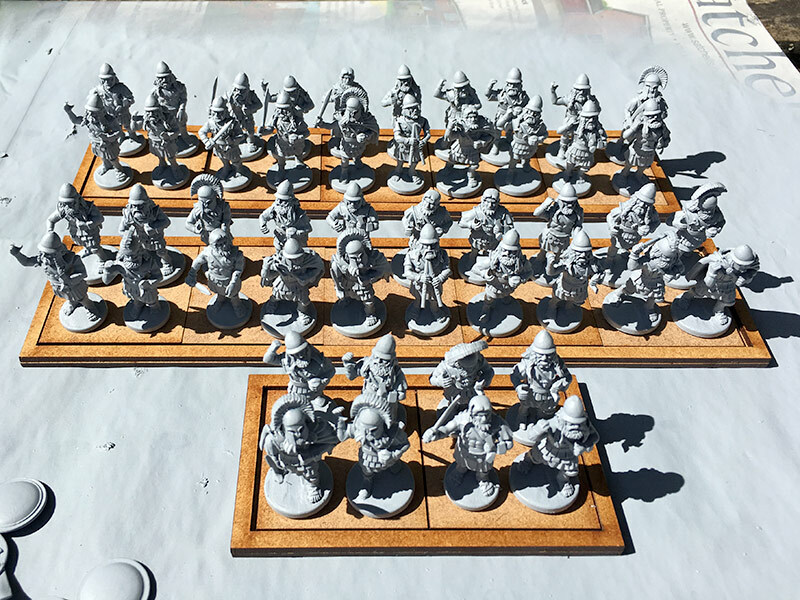 I built the figures over three evenings and spray coated them this afternoon. 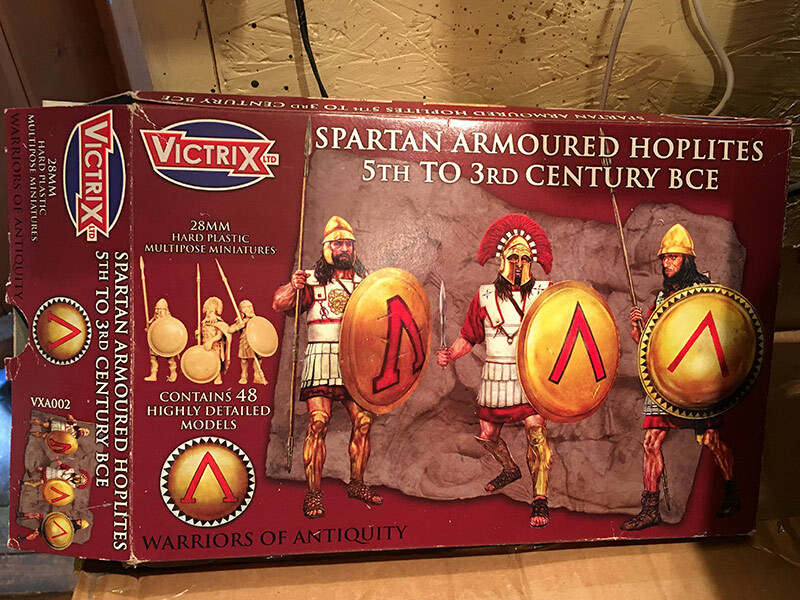 The detail is superb and up to Victrix’s usual high standard. It will be interesting to see how they paint up.